Exclusive: Hillary Clinton says she is convinced that associates of candidate Donald Trump helped Russia meddle in the 2016 campaign. 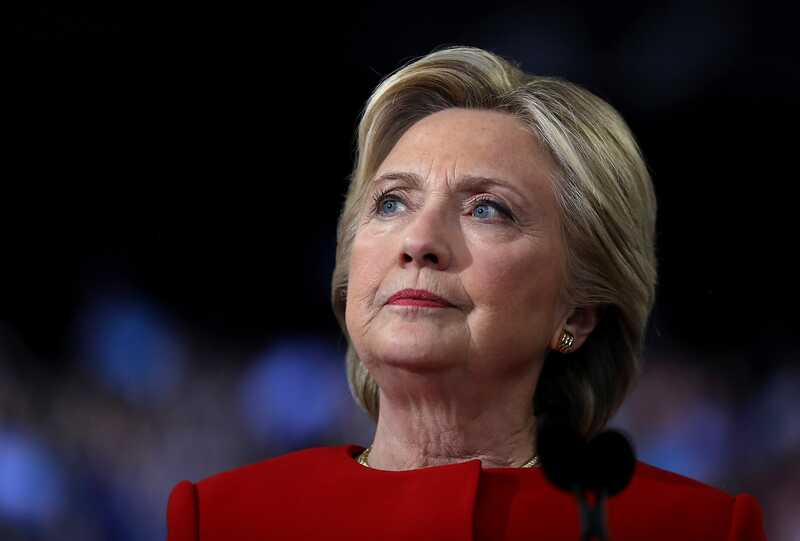 CHAPPAQUA, N.Y. — Hillary Clinton says she is now convinced that associates of candidate Donald Trump helped Russia meddle in the 2016 presidential election. "There certainly was communication and there certainly was an understanding of some sort," Clinton told USA TODAY Monday in a far-ranging interview about her new book, What Happened. "Because there's no doubt in my mind that (Russian President Vladimir) Putin wanted me to lose and wanted Trump to win. And there's no doubt in my mind that there are a tangle of financial relationships between Trump and his operation with Russian money. And there's no doubt in my mind that the Trump campaign and other associates have worked really hard to hide their connections with Russians." Does she believe there was collusion by Trump associates? "I'm convinced of it," she said, though she stopped short of repeating that explosive word. "I happen to believe in the rule of law and believe in evidence, so I'm not going to go off and make all kinds of outrageous claims. But if you look at what we've learned since (the election), it's pretty troubling." The Democratic presidential nominee was sitting in the dining room of the ranch house she and her husband, former president Bill Clinton, bought in August next to their larger home on a cul-de-sac in this leafy Westchester suburb. At the time, she says, they thought it might be a good place not only for visiting family but also for the Secret Service agents and aides who would be accompanying her after the election. After she won, that is. Instead, the guest house became a refuge during the months after Election Day when she found herself on the losing side of the biggest political upset in modern American history. She wrote much of the 495-page book on a handsome wooden table, beneath a suffragette's banner that hangs over the fireplace. The memoir, published Tuesday by Simon & Schuster, is in part a raw account of how it felt — less than a year later, the bruises still are fresh — and in part her analysis of why it happened. Her dress is more casual and her manner less guarded than during the campaign. In an interview that stretched for nearly an hour, as longtime aide Huma Abedin bustled in the living room and kitchen, Clinton didn't pretend to be entirely over the election that landed Trump in the White House — her final campaign, she makes clear. "I'll always feel terrible that it happened, that I couldn't figure out how to counter all of the stuff that was coming at me in good enough, fast enough real time," she said. But there is this: She has stopped dreaming about the election. Clinton says she accepts responsibility for the shortcomings of her campaign, faulting herself for the "bad optics" of delivering high-priced Wall Street speeches, the inartful rhetoric that coal miners saw as an attack on their livelihood, and the "boneheaded mistake" when she decided to use a private email server as secretary of State. She acknowledges she misread the depth of anger and frustration of the electorate. But she also assigns plenty of blame to others, among them Vermont Sen. Bernie Sanders for his Democratic primary attacks, Putin for Moscow's meddling, the mainstream media for shallow and sensation-driven coverage — and, most of all, then-FBI director James Comey for his handling of the investigation into her emails. Comey "shivved" her, she writes. She says his unusual announcement 11 days before the election revealing a new trove of emails — which turned out to be not new — cost her last-minute momentum in an election that ended up being determined by less than 80,000 votes in three upper Midwest states. "My first instinct was that my campaign should hit back hard and explain to the public that Comey had badly overstepped his bounds," she says. "My team raised concerns with that kind of confrontational approach. In the end, we decided it would be better to just let it go and try to move on. Looking back, that was a mistake."